BEFORE GOING TO CHINAPLASKOPLAS VISIT WITH PAGDERTHE EFFECTS OF THE PLASTIC BAG LAWTHROW THE EMPTY PLASTIC BOTTLE AND TRAVEL FREETAKE CARE OF YOUR PLASTIC BILLIONS OF DOLLARS WILL RETURN BACK TO YOUSOME COMPANIES PREVENTS RECYCLE OF PLASTIC AND PAPERPRODUCING PLASTIC FROM WASTED TEA LEAVESFORD MADE A CAR FROM PLASTIC AND CANNABIS 77 YEARS AGOTERMINATOR PLASTIC THAT FIXES ITSELFWHAT CAN WE DO TO DECREASE ENVIRONMENT POLLUTION?THE PLACE AND BENEFITS OF PLASTIC IN OUR LIVESRECYCLE FROM PLASTIC TO BRICKMAKE PLASTIC OUT OF MILKAMERICAN SCIENTISTS TRANSFORMS PLASTIC WASTES TO CLEAN FUEL BY CHEMICAL PROCESSIS PLASTIC WASTE PROBLEM CAN BE SOLVED WITH A FUNGUS? WHAT CAN WE DO TO DECREASE ENVIRONMENT POLLUTION? IS PLASTIC WASTE PROBLEM CAN BE SOLVED WITH A FUNGUS? 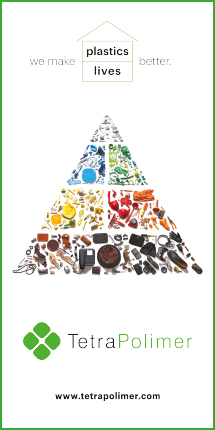 For over 30 years, ChinaPlas has led to the growth of China’s plastics and rubber industries, becoming an exclusive meeting and business platform for these industries, and has also contributed greatly to the development of welfare. Currently, ChinaPlas is not only the largest plastic and rubber trade fair in Asia, but also the 2nd most influential exhibition in the world. ChinaPlas 2019 Fair will be held in Guangzhou, China for the 33rd time between 21-24 May 2019. 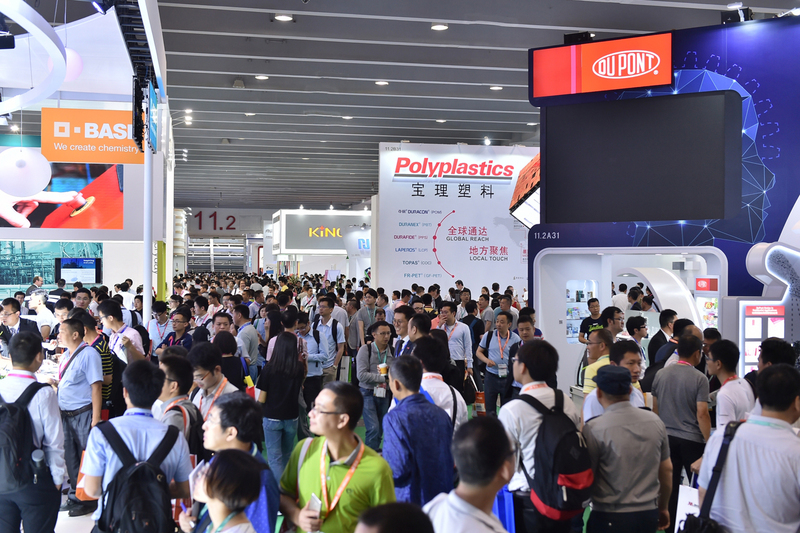 In ChinaPlas, one of the largest plastic fairs in the world besides China and Asia, technological developments in various manufacturing sectors such as automobile, electronics, electrical appliances, information technologies, telecommunications, construction have made the plastics and rubber industry more important. Thousands of famous companies participated in the fair and the participants have the opportunity to promote and market their new products. Tens of thousands of visitors visit the fair to establish business contacts, open new jobs and see new technologies. Let’s get to know the city where this giant fair takes place and see what they are waiting for. 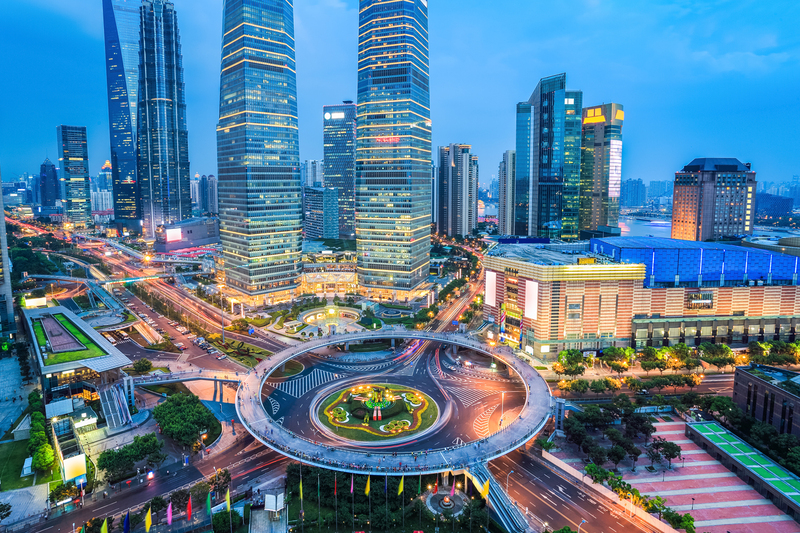 Guangzhou is China’s third largest city, but has a population of over 12 million. Guangzhou is one of the two hosts of ChinaPlas, the largest plastic exhibition in Asia. 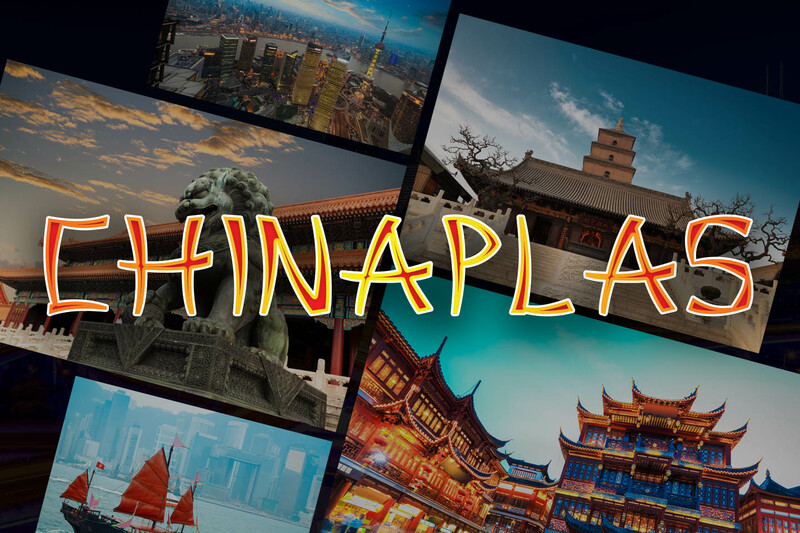 ChinaPlas is held in Shanghai for a year and a year in Guangzhou. The city, which is the host of ChinaPlas 2019, will be hosting the fair between May 21 and 24. The city is frequently visited by many Turkish companies doing business with China. Turkish Airlines also has direct flights from Istanbul. In addition, a consulate in Turkey, operating in the city. On the website of the Consulate General, Guanco writing is used instead of writing”Guangzhou“in English. City’s pronounciation is almost the same “Guanco”s Turkish pronounciation. Like many of China’s cities, Guangzhou is also a historic residential area. It has been in existence since 214 BC. In the period called “The Sun Rises from the East “, it was important throughout the history as one of the starting points of South East Asia’s trade. Until the end of the 800s, it continued as a center where all the peoples of the region, even Arab and Persian merchants, reached. In the colonial period, the Portuguese dominated the city. The city became a British colony after the first Op. War in 1839. During the Second World War, it experienced the Japanese invasion. After the communist period, China allowed the free economy in the 1990s and was able to industrialize rapidly after the tax advantages and special incentives for the city. And today it became one of China’s largest financial, commercial and industrial centers. In the recent period, it has taken a modern look with an exceptionally fast urbanization. China generally represents the economic development it aims to lead the global economy with architectural structures. All of the big cities are sometimes trying to attract attention with exaggerated modern architectural examples. As a result of this understanding in Guangzhou, many skyscrapers and modern buildings are equipped. The city is also experiencing the problem of air pollution, which is the main problem of China’s big cities. Of the economy of Guangzhou, 1.2% is agriculture, 68.6% is services and 30.2% is industrial. The Guangzhou-based region draws attention with the production of automotive, petrochemical, energy, logistics, pharmaceutical, shipbuilding, railway, aerospace equipment. GAC Motors, which is the brand of Guangzhou-GM, is also in this city. Honda and Peugeot also do the production here. There are various equipment and R & D and design companies for railway vehicles. In addition, railroad technology is also developing metal-type carriers that can carry electric high-weight weights. In the Guangzhou area, finance, biomedical technologies, industrial designs and new generation telecommunications technology are also specifically supported here. The city, which had been settled before Christ and as an important commercial center in the history of China, has a modern appearance due to the rapid growth of China after 90 years of economic development. In the colonial era, in addition to modern buildings and city equipment, it is also possible to see the old temple and architecture. Guangzhou is a city where Muslims are busy before the colonial period and partly for trade in the colonial period. For this reason, there is the Huasheng Mosque, which is one of the oldest mosques in the world. It is clear that the mosque was built during the reign of the Tang dynasty, ruling the years between 618-901, when the Prophet Mohammed was alive. The mosque is known as the Fener Mosque because of its light-like minaret, and its architecture is suitable for traditional Chinese architecture. Huasheng means commemorative memory for Prophet Muhammad. The mosque is located in the old town on the way to Guangta. Although the city is a very large building, it is worth noting that it is an area reached from the city center of Baiyun Mountain which means white cloud. The mountain reached by cable car is also a park. This park has a cafe, restaurant and bungee jumping for enthusiast. The city is well worth seeing, including the Yuntai Gardens, the Chlmelong Park, and the Shamian Island on the sea side of the city. Because Buddhism is the most common religion of the city’s inhabitants, temples of this religion are common. One of the most well-known and visited is the Dafo Temple. The temple is of great historical importance since it was built in the 8th century. 6 The Banyan Tree Temple or Liurong Temple has been in use since 537. The temple is named after the banyan trees, which are considered sacred in Buddhism in the garden. The Guangxiao temple, renovated in the 1980s, is one of the most visited. The Nansha Tian Hau temple draws attention with its architecture and the goddess statue, which is likened to the Forbidden City. The Chen Family temple, built in the 19th century, is now being used as a museum and exhibits objects to reflect Chinese culture. The Canton Tower, one of the city’s modern buildings, is one of the tallest buildings in the world with a height of 595 meters. The tower is given the opportunity to exit as a toll and the tail may be specified. There are also restaurants in the tower. The island of Shamian, which has traces of the colonial period, is frequently visited. Our Lady of Lourdes Catholic church on this island is also on this island. Since Guangzhou is an advanced city, there are many alternatives for shopping and entertainment. There are wild animal parks, museums and restaurants in the city. At the same time, it is possible to visit the city on the Pearl River with day and night sightseeing boats. Yue Opera also performs in local Chinese performing arts in Chinese culture. There is also a permanent circus in the city called Chimelong. Shopping opportunities in the city Tee Mall Hualin Jade market stands out. Numerous shopping centers are scattered in the city. The Beijing Presidential Road attracts attention with its shops, which include all kinds of shopping opportunities and brands. The night entertainment of the city is concentrated on the streets of Pearl River. There are many bars, nightclubs and restaurants in these areas. Travelers advise in advance to learn about places to visit. 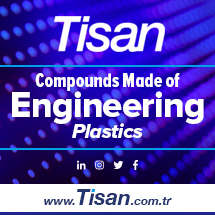 Product Groups: Extrusion lines, grouting machines, plastic additives, plastic components, plastic machine, plastic mold, plastic package, plastic processing machinery, plastic products, plastic raw material, plastic recycling machines, plastic testing equipments, plastic tools. 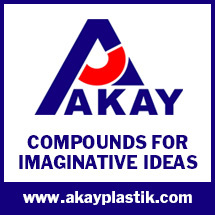 TURKISH PLASTICS MAGAZINE IS PUBLICATION OF PAGDER TURKISH PLASTICS INDUSTRIALISTS’ ASSOCIATION. ALL RIGHTS RESERVED.